According to the United Nations, “Water Security,” is defined as "the capacity of a population to safeguard sustainable access to adequate quantities of acceptable quality water," and as a result of this increasing need for water, "achieving water security for regions, nations, and individuals is one of the greatest development challenges confronting the world today." 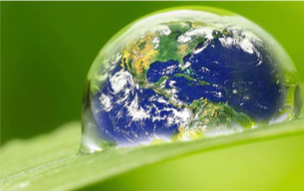 Water security sitting at the nexus of environmental policy and international relations. This issue will only grow more pressing as climate change accelerates and populations continue to grow. A six-fold increase in freshwater usage worldwide throughout the past two decades, to satisfy growing agricultural, industry, and civilian needs. The growing demand for water is driven first by population growth, with worldwide population estimated to reach between 8.3 and 10.9 billion by 2050. Increasing population stresses water security by increasing demand for food. Large populations place similar-sized pressure on the world's food infrastructure, and in order to meet food demand in 2050 overall production must increase by at least 70%. Management of water resources has driven increased geopolitical tension, as most major rivers flow through multiple nations who are all reliant on continuous access to the same levels of water flow. Yet as demand increases water flow remains relatively constant, and there is strong incentive for upstream nations to reserve water for themselves to satisfy to their increasing needs, even at the expense of downstream partners. Nations will need consistent water flow to provide for industrial production. Industrial processes account for only 20% of worldwide water use, but account for a significant portion of water pollution. As examples, over 60% of China's rivers are too polluted by manufacturing for human consumption, and similar situation may be found in India, where the majority of wells are too tainted for safe drinking. Extreme weather conditions also plague nations dealing with continuously increasing water demand. Brazil's south is undergoing the worst drought in 80 years, and in India 10 of the last 17 years witnessed below-normal rains. The increase of such extreme conditions can only be assumed to continue as global climate change progresses, and these worsening environmental factors play a large role in the current water security landscape alongside increasing need. The breakdown of traditional ecological mechanisms for supplying water due to climate change also has a role in water security. Many freshwater systems rely on annual snowpack and glacier run-off to supply fresh water, however, these sources are projected to undergo significant decreases, with a 15% reduction in snow cover estimated by 2100. As increases in global temperature reduce snowfall and lead to the permanent loss of glaciers worldwide, the negative effects of melt reduction will affect much of the world's water security. The status of international concerns over water can be stated as: growing tensions but no breakouts of extreme conflict. However, increasing supply shortages or a sudden contraction in water supply could transform tensions over water in any of these regions into an international crisis, with little room for maneuver as thirsty people demand satisfaction. Develop smaller, smarter, and more sustainable water technologies. Deploy disruptive technology that provides the opportunity to rethink traditional constructs of what constitutes supply, and thereby transform the costs of water. Advance treatment technologies and technologies to dramatically reduce waste.